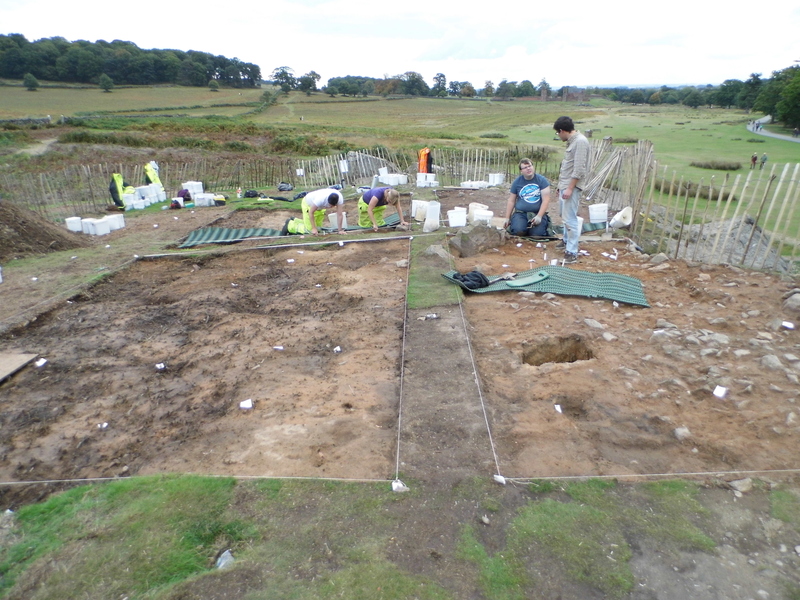 New excavation in Bradgate Park, Leicestershire, saves flint artefacts from impact of erosion. 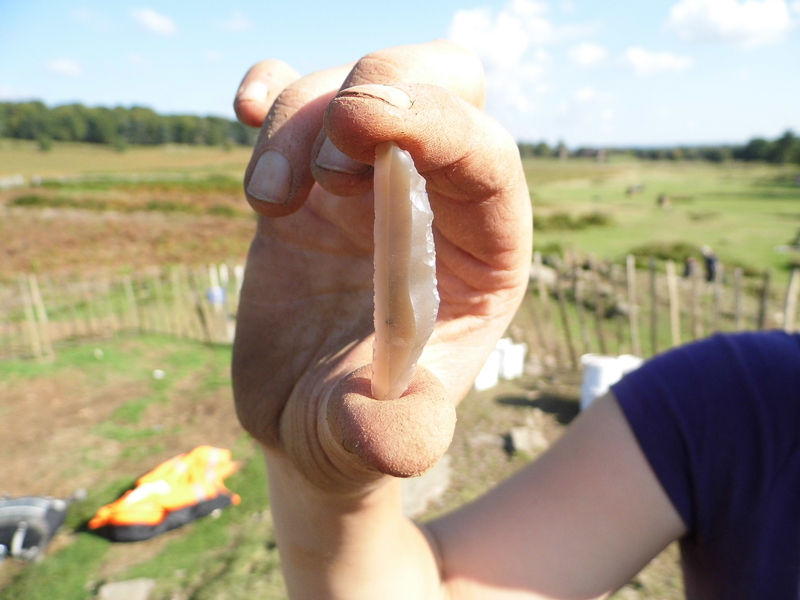 After being hidden for nearly 15,000 years, the lives of Ice Age hunter-gatherers who migrated to Europe to benefit from warmer climes are being revealed in an archaeological dig at a very rare site in Bradgate Park, Leicestershire. ULAS archaeologists start to excavate the central area of the artefact scatter. 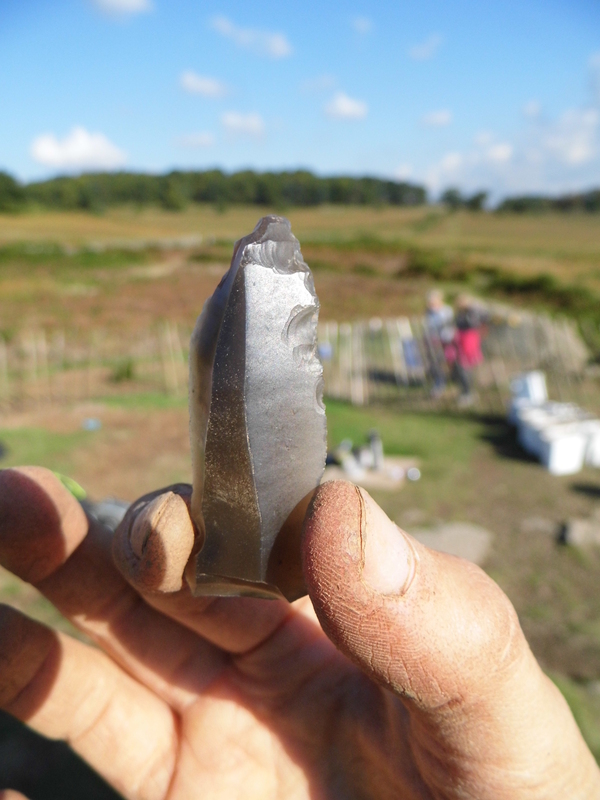 The Bradgate Park Trust has commissioned University of Leicester Archaeological Services (ULAS) to begin a new stage of work on a rare Late Upper Palaeolithic site at Bradgate Park in October, following an assessment that revealed in situ deposits containing an assemblage of worked flint. The site is anticipated to yield thousands more flint artefacts, including tools such as projectile points, scrapers, knives and piercers. A stout piercer. These are the most common find at the site and were possibly used for heavy-duty work on materials like hide or antler. Analysis of the flint scatter suggests that different activity zones may be identifiable, giving the archaeologists an understanding of the dynamics of life at the camp site some 14,700 years ago. Continuing erosion of the site threatens to destroy the archaeological remains which is why the Bradgate Park Trust has gained permission from Natural England, Historic England and Leicestershire County Council to allow a team of archaeologists from University of Leicester’s Archaeological Services to carry out a full excavation of the site in order to record this nationally important heritage site. The work which the Bradgate Park Trust is funding has been made possible by a grant of financial support from Natural England and ‘in kind’ support from Historic England. The excavation will take place this year during October to December with subsequent analysis and reporting in 2016 – 2017. A flint projectile point that would have tipped a long dart, propelled by an atlatl (‘spear thrower’). Lynden Cooper, Principal Investigator on the project, said: “To Upper Palaeolithic archaeologists sites such as Bradgate Park are the equivalent of a Pompeii, preserving a record of human existence from a snapshot in time millennia ago. There is some irony in that this rare preservation of a hunters’ campsite is entirely due to the creation of the medieval deer park which has not been cultivated. “The people who left behind these clues were members of a small group of pioneer mobile hunter gatherers who repopulated north-west Europe towards the end of the last Ice Age with the rapid onset of a warmer climate (the Lake Windermere Interstadial) and the development of open grassland vegetation. “The new environment attracted a rich fauna of large vertebrates including wild horse and red deer, two of the preferred prey species. Other species included mammoth, elk, wild cattle, wolf, arctic fox, arctic hare and brown bear. “They were re-colonising lands that had been lost for circa 10,000 years – economic migrants in a period of rapid global climate change, if you like. 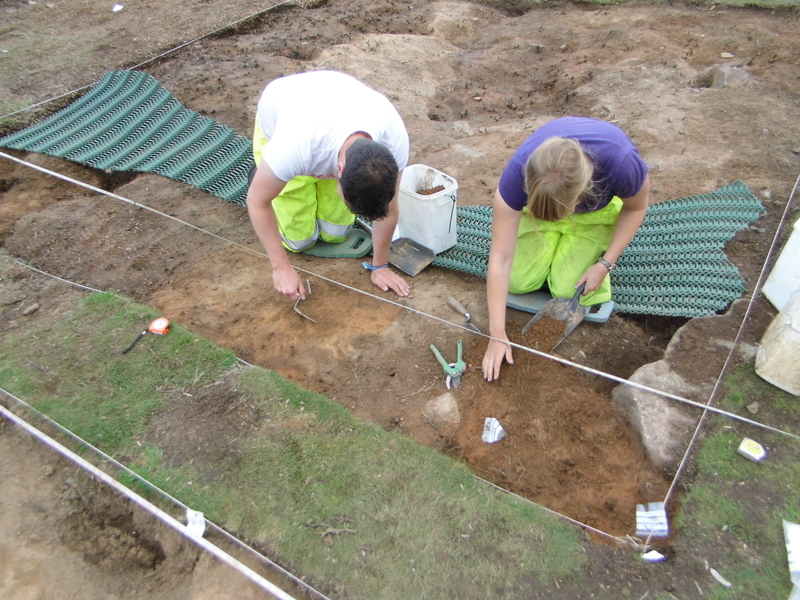 ULAS archaeologists carefully uncover the Late Upper Palaeolithic flint scatter. Bradgate Park is designated a Site of Special Scientific Interest for its rare geology, and very special ancient parkland and wet heath habitats. It is also a Country Park and is included on the register of Parks and Gardens of Special Historic Interest. There are also two Scheduled Ancient Monuments and five listed buildings which includes Bradgate House and Old John. The management of the Park is supported by a Higher Level Stewardship agreement, which is helping to ensure that these important environmental and heritage assets are cared for.